Our Frozen Combo offers up to four different activities for endless hours of fun. 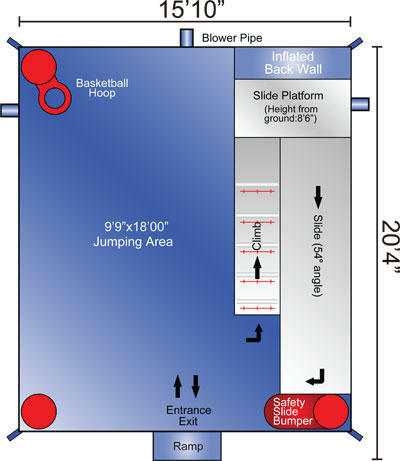 The Frozen Combo has a large interior jumping area and a basketball hoop for group interaction. The high-visibility mesh allows spectators to keep an eye on participants. 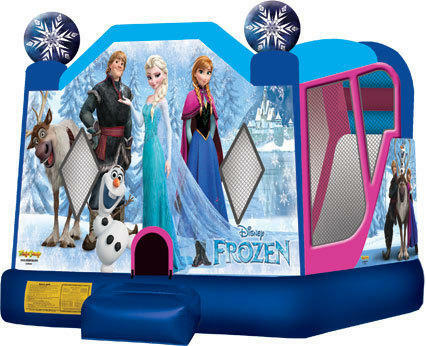 The Frozen combo also comes with a climb to conquer with a fun and fast slide, entertainment for even the most active child!